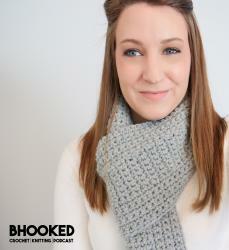 In this episode of B.Hooked TV I’ll show you how to fix knitting mistakes several rows down. Whether you were “prepared” to make this mistake (are we ever?) with a lifeline or not, I want to help you fix the mistake you found several rows down so you don’t do what I used to do – rip out the entire project and start over. So by the end of this episode, you’ll understand how to fix those pesky knitting mistakes several rows down by using a lifeline (when you didn’t already have one in place) and by using a “proactive lifeline” (before you make the mistake).